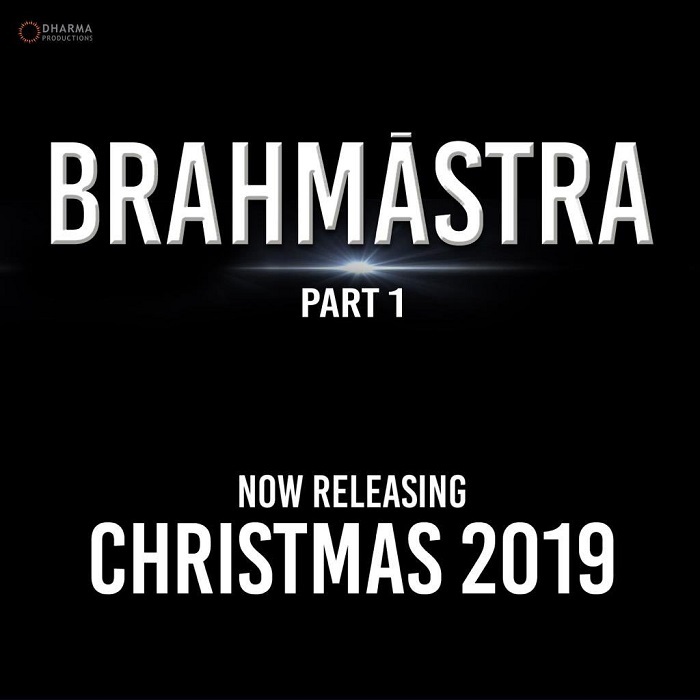 Brahmastra Part 1 releases on Christmas 2019! As Dabangg 3 is postponed by indefinite time from Christmas 2019 slot. Karan Johar's Brahmastra part 1 written and directed by Ayan Mukerji is now confirmed for release on Christmas 2019. News is made official by Karan Johar himself who is producing the film. Brahmastra is a trilogy made in 3 parts. Film stars Ranbir Kapoor and Alia Bhatt in lead roles. Film was earlier slated for release on 15th August, 2019. Christmas slot was unofficially occupied by Dabangg 3. Recently it came to notice that film is indefinitely postponed. As Christmas is one of the best period for release of a film. It will be interesting to see if Brahmastra can enjoy solo release. Or some other films will join the fun. Definitely interesting development on cards! Dharma Movies recently failed too. After underperformance of Race 3 and Failure of TOH on big festivals why makers are still believing in booking festivals in advance.Now good films can run any time. Make a good universal appealing film and release anytime solo like we have seen Padmavat and Sanju. well Gulshan Kumar biopic was also scheduled for Christmas 2019 …...now its more or less confirmed that Aamir has indeed walked out of the film! !